Sadly, as I write this title, I do see, a spirit of offense, Christians arguing with one another, and a lack of courtesy, as Christians are judging one another, in the body of Christ. It is very prominent. When are we going to stop it? When are we going to see this, so we can grow in Christ? I pray other Christian leaders do detect it, and try to stop it, by preaching this message, that I write. For it causes us to be weak. It causes us to be at odds with one another. It is accusatory, and the devil loves that. Revelation 12:10. And I heard a loud voice saying, now is come salvation, and strength, and the kingdom of our God and the power of His Christ; For the accuser of our brethern is cast down which accused them before our God day and night. And they overcame him by the blood of the Lamb, and by the word of their testimony; and they loved not their lives unto death. So, I write about it here, to perhaps, bring some light. To bring some truth. To bring God into this. For it is obviously, very close to His heart, after all, we are His children. He loves us. Throughout the word of God, We are warned, to be careful, not to be offended. Great peace have they which love thy law, and nothing shall offend them. Psalm 119:165. Yet, there are Christians, who are actually arguing about Gods word, and truth, and there again, we are called not to argue about Gods word. Titus 3:9-11 But avoid foolish questions, and genealogies, and contentions, and strivings about the law; for they are unprofitable and vain. A man that is an heretick after the first and second admonition reject; lknowing that he that is such is subverted, and sinneth, being condemned of himself. Titus who was a young pastor, in the Bible, was advised, by Paul, the apostle, to be careful in the works of a Christian. Not only was this advice given, for the pastor, but for the body of Christ. So we need to see this, and be objective. To heed the advice. To heed the instruction. So we can grow, this is not just for some, but for all of us who are seeking Gods ways. Seeking to change, seeking to grow, seeking a better way, so life can have meaning, and one can see the progress, individually. In this, that I write, I will express some scriptures from this beautiful book of Titus, from the Bible, that gives us a foundation, to understand. And in saying that, we do need the word of God. We as ministers, pastors, and Christians, who are trying to teach others, and yes to all of us, who are growing, we, need the word of God. We need Gods word, to shed truth, to shed light, to bring conviction, so we can grow. So we can turn from our sins, so we can see what God says, and truly work out our salvation, in fear and trembling, concerning who God is. That’s why, it is so important, that one knows what God says, because there are many, who do, preach or speak, in the name of the Lord, and their foundation is not on God’s truth. Whether it is laziness, to share the word, by reading it, or just someone, who wants to puff themselves up, in pride, to make themselves look good, or its just the devil using someone to distort the truth, one has to be careful. Religions, rules made by men, with their traditions, have throughout time, distorted, truth. Gods truth. Here in Titus again, it brings this to our attention. Titus 2:9-11 Holding fast the faithful word as he hath been taught, that he may be able by sound doctrine both to exhort and to convince the gainsayers. For there are many unruly and vain talkers and deceivers, especially they of the circumcision. Whose mouths must be stopped, who subvert whole houses, teaching things which they ought not, for filthy lucres sake. As I read this last scripture, I cannot help, but see again, how the prosperity message, has gotten so out of hand, that the gospel, is used to gain money, or to draw people to hear the message, but the message has gotten off of God, salvation, souls, and is enticing, people, for the sake of money. When truly, we all need to be in a place seeking God, for who He is, and not for what He can give us. It is perverted. I see it. Do I want to judge? No! But, I will be completely honest, I don’t want that kind of anointing on me, from people who pervert, the gospel, or twist it for the sake of money, or even to make themselves look good. I do not want to be acquainted with those kind of ministries. Because what you sit under, in teachings, will become a part of you, if you do not know better. So I am careful, not to just always jump into a ministry….that could even be cults. I test the spirits, like we are called to do. I John 4:1Beloved believe not every spirit, but try the spirits whether they are of God; because many false prophets are gone out into the world. But as I communicate with many people, here and there, on Facebook, Twitter, Pinterest, here on my blog etc. I see Christians getting mad, because you share truth. Or they reject you. Recently, a pastor, mind you, was sharing a post, on Facebook. I suggested, politely, and in fact, supportive of his message, that it was good, but I asked, if he would mind writing the scripture out, because people, do not always have access to their Bibles. Well, he removed me from his list. Theres that spirit of offense. Another lady, same thing, gave a word, and I suggested the same thing. Because we need the foundation of the word of God. If we don’t give the word of God. People think we are flaky, nutty, and they just ignore us. Anyway, she did not get mad, but she did not acknowledge me, or even thank me. Courtesy? Where is it in the body of Christ? Judging of others, I see so many Christians, talking so harshly, and sharply about other Christian leaders. Look I am not perfect, nobody is. But, when we, within the body of Christ, talk about other Christians, to put them down. To judge them, we are doing a disservice, to the body of Christ. Baby Christians, or even people who are interested in becoming a Christian see that, and get turned off. They think gee, they are not nice concerning one another. Gods word says, touch not my anointed! I Chronicles 16:22 He suffered no man to do them wrong; yea He reproved kings for their sakes, Saying Touch not mine anointed,and do my prophets no harm. When you are bad mouthing a person of God, you are harming them, with your words. When David, and Saul, were at odds with each other, and Saul, wanted to kill David, David, wrote some beautiful passages, that we relate to. But, what I noticed about David, is that even though Saul hated him. He recognized the anointing God had placed on him. He would not come against Saul. Even though Saul hated him. When Saul died, he recognized that the messenger, who had brought the news of Sauls death, did not honor him. So, he had him killed. In other words, even though Saul hated David, as a man of God, he himself, recognized the anointing, on Saul. For Saul had been the king, David, honored him. We do not honor our leaders. And I am talking political leaders and Christian leaders. For a moment here…though, my emphasis, is on Christians. But with all of the political controversy going on, I see some mud slinging. I just see its wrong, to always be in that mode of bad mouthing someone. Always looking for that reason, to hate, to criticize, it has to do something to us, within us, if we are constantly to berate someone. Even if they make mistakes, we are not to touch them. Judging them. How can we grow, to who Christ, has called us to be? The word of God is clear, in many places, that we are not to speak badly or harshly. So even when I see something wrong myself. You do not ever see me, mention them by name? No you do not! Why because what if it was the devil just accusing them? I do not want to be a part of that. Now, I know there are bad leaders. There are people, who are wolves in sheeps clothing, but folks, there has to be love, in our communications. There has to be courtesy, there has to be a time, where we stop bad mouthing one another, and judging each other, back and forth. I love Gods word. I love how, by applying it, it has changed me. But if I am going to share anything with you, I know, and I have known it from the beginning the word of God has to be the foundation. To build a point. Because Gods word makes it credible. I recently had a lady tell me well thats your truth. And that I was “narrow” minded. I thanked her! Why? because straight is the gate, and narrow is the way. Matthew 7:14 Because straight is the gate, and narrow is the way, which leadeth unto life, and few there be that find it. Which by the way. Jesus is the way, the truth, and life. John 14:6. And to be honest there is no other way, to God, to heaven. To true salvation, to avoid hell. So, I want to find Gods truth, so I search His Holy word. We cannot just pick and choose, what we want to from Gods word. Sadly, her excuse, was concerning the issue of abortion. And she wanted to justify why abortion is o.k. Look, Gods word says thou shalt not kill. Period. Why do people, want to to twist it, and justify it for their own sake? I don’t always know. But, I do know that the devil will use that, to cause havoc in someones life, because they are disobedient. Giving him a legal right to harass someone. Consequently, I gave up on communicating with her as well, which is sad. I did not want to. But, at every turn, she wanted to argue, or to accuse me, as well. I admit, I get weary. But I also put on my armour, and pray, not to get weary, in well doing. I don’t know how much of a difference I make in my writings, but when I see truth, I cannot help, but share what Gods word says. As again, a foundation. But I so want to do it in love. In Christs love. For His sacrifice. I don’t want to take part of the word, and just use it, to twist it, or to puff myself up. But, I so want lives to turn to God. Because I know, how Christ can change a life. How I pray, the body of Christ, would see, would stop, being offended, would use courtesy, and yes stop judging one another, so we can all grow. I see this as a hindrance to all of us. What is needed, is Gods truth, and yes love…lots of courtesy, and we need to get our minds off of others, and their faults, and grow. To stop pointing fingers….And share what Christ did for us. So others can know the truth, that sets them free. But, if we get stuck, the body of Christ, will not be affective. How I pray, God help us. But, we have to want to be helped. Myself included. I cannot write something, and see that I am beyond that. No, that would be pride….another issue, for another time to write about. 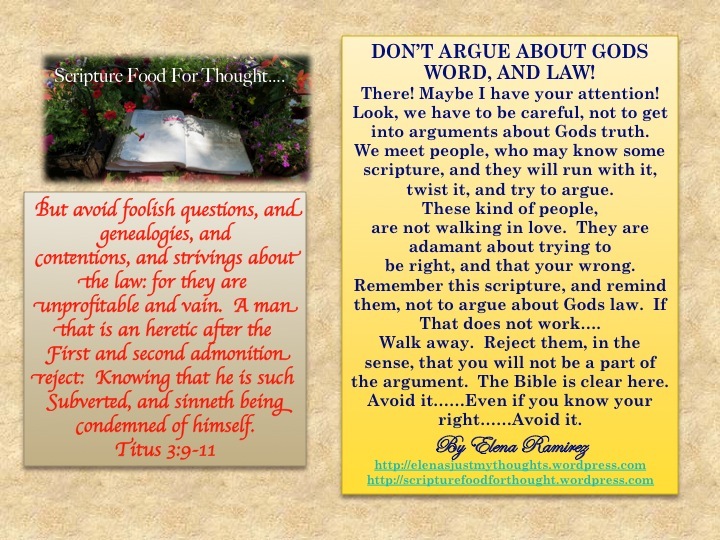 This entry was posted in advice, argument, authority, CHRISTIAN BLOGGERS WANTED, compels, counselor, cruelty, danger, darkness, HOPE and tagged arguments, body of Christ, Christian, christianity, LOVE, photography, religion, souls, strife, TODAY. Bookmark the permalink.